Tina Sams discusses the woes of managing pests that may be damaging Elder trees, and also introduces us to new ways to use Spicebush berries (Lindera benzoin). The Mountain Rose blogs talks about the importance of protecting American Ginseng (Panax quinquefolius) in the wild, and also shares a useful description of the different types of Holy Basil (Ocimum spp.). This is an absolutely brilliant article by Michael Vertolli on the importance of ethically harvesting Chaga (Inonotus obliquus). An important read for anyone interested in harvesting medicinal mushrooms. Marcy Lautanen-Raleigh shares this wonderful monograph on Eyebright (Euphrasia officinalis) with a couple of recipes to boot. This lovely little ditty by Carol Little talks about the health benefits of Goldenrod. Cathy Skipper features a gorgeous article on natural cultivation and using plants to heal one another. 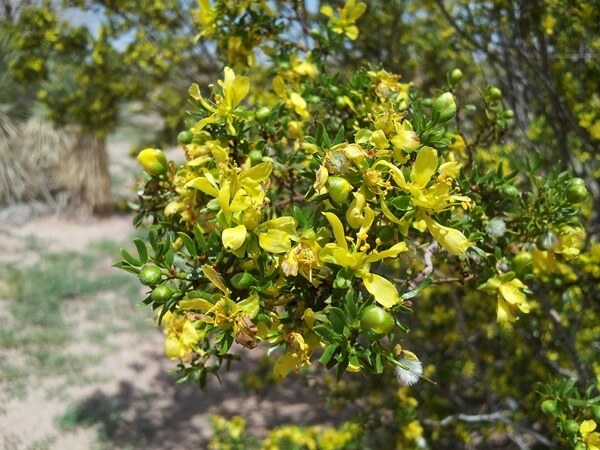 This fantastic article on Creosote (Larrea spp.) by Becki Garza features a nice mix of historical and medicinal info. 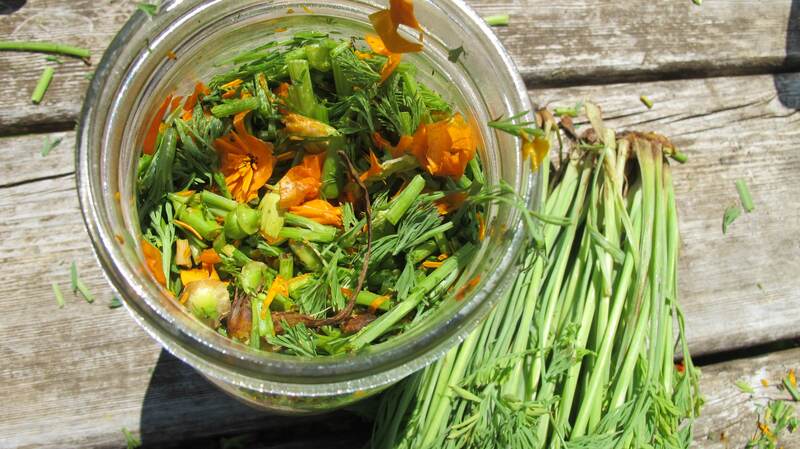 Katerina Pozzi shares her lexicon of herbal preparations in this excellent resource for beginners. This is a fantastic resource for understanding herbal energetics and learning when and how to use herbs: Rosalee de la Forêt has developed this very practical flavour wheel and “cheat sheet” on how to use herbs. A dose of inspiration for your next tea blend; Celia Linneman shares this article on intuitive herbal tea blending. Never make a boring potato salad again with Butter’s awesome recipe for Purslane Potato Salad. The Mountain Rose Blog features some excellent herbal DIY recipes, including Four Thieves Vinegar, Herbal Body Scrubs, and Herbal Mouthwash. You’ll really enjoy this handy guide to tea blending from Mountain Rose, which includes a very practical tea blending guide infographic. I had a chance to write this article on using herbs from your spice rack to support the immune system, as well as this tutorial on how to make your own sugar-free Elderberry jam. If you have a new infant, or are interested in postpartum care, then look no further than Jessica’s Natural Health and Prevention site, where she shares this great article on herbs for gassy infants, as well as an excellent series on postpartum herbal support for stress and sleep, milk support, and nutrient herbs. Learn why Parsley is more than just a garnish with Rosalee de la Forêt’s recipe for Parsley Pesto. 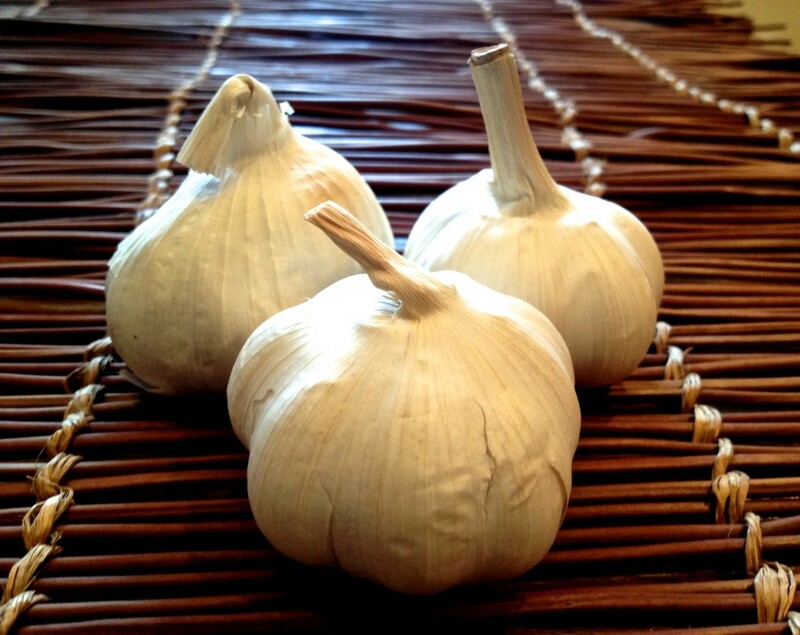 Garlic is featured for its ability to lower blood pressure. Turmeric extract is shown to have a significant effect on pancreatic tumors. Flax Seed demonstrates a preventative and protective effect against breast cancer. Jesse Hardin’s book The Plant Healer’s Path gets a thorough review and thumbs up from Herb Geek as a very important must-read manifesto for herbalists. Ann Armbrecht of Numen Film features this absolutely fantastic interview on ecological medicine with Kenny Ausubel. Amazing! I get these round ups and it keeps me busy all month. My pleasure Marcy, and thanks so much for writing awesome content yourself!